This summer the Archive Project embarked on a new oral history initiative, Saving Preservation Stories: Diversity and the Outer Boroughs, and over the past few months there has been great progress. This summer the Archive Project embarked on a new oral history initiative, Saving Preservation Stories: Diversity and the Outer Boroughs, and over the past few months there has been great progress. The driving goal of this project is to capture key memories of preservation campaigns in New York City, specifically those that have been underrepresented thus far. Toward that end we are conducting oral history interviews with leading members of preservation actions in the boroughs outside Manhattan, as well as those to protect sites significant to minority populations. Thanks to a grant from the New York Community Trust we are poised to fill a gap in the historical narrative of preservation in New York City over the last century. Since June the Archive Project has taken our first steps to highlight the great works of New York’s racial and ethnic minorities. Our oral history team has so far been to Harlem, Bayside, Queens, Crown Heights, Brooklyn, and Rossville, Staten Island to interview five leaders who have changed the landscape by preserving the history, architecture, and sense of place of their neighborhoods. All of the interviews conducted for the Saving Preservation Stories project have been recorded in high quality audio, and accompanied with photographs. Two of them, so far, have also been documented by a videographer. Once all the interviews are completed they will be available to the public via our website. Mandingo Tshaka, a longtime community activist in Queens, advocated for the archaeological survey of and proper recognition for the Olde Towne Flushing Burial Ground. The burial ground dates back to the 1840s and the majority of those buried there were African and Native American. Yvonne Taylor is a founding member of the Sandy Ground Historical Society in Staten Island, which was formed in the 1970s to promote the history of the Sandy Ground community and work for the preservation of its structures, some of which are New York City landmarks. Sandy Ground was built by free blacks in the decades before the Civil War, and some believe it to be the oldest continuously-held settlement established by free blacks in North America. Yvonne Taylor’s house is the oldest remaining building in Sandy Ground, constructed some time before 1859, and designated a New York City landmark in 2011. 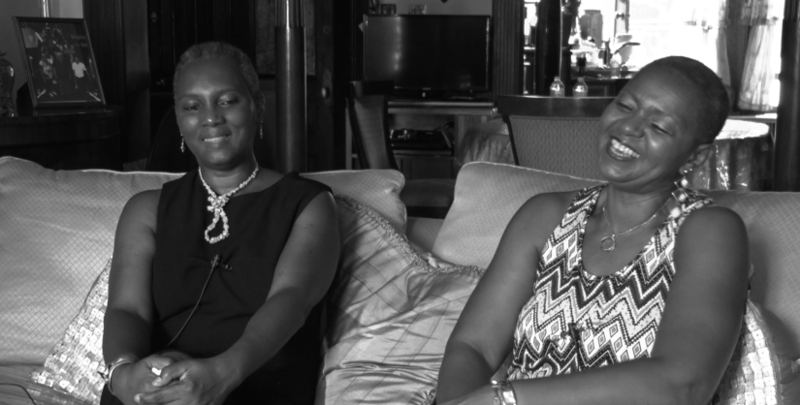 Denise Brown-Puryear and Deborah Young cofounded the Crown Heights North Association in 2001 to advocate for the preservation of the historic buildings of Crown Heights, as well as the revitalization, economic advancement, housing stabilization, and cultural enhancement of its residents. Since that time they have lead successful campaigns to create three designated historic districts in the area, including many homes built as early as the 1870s. Ronald Melichar is the current president of the Hamilton Heights-West Harlem Community Preservation Organization, which among other quality of life issues, deals with the preservation of West Harlem’s architecture and its historical and cultural significance spanning from the Revolutionary War to the Harlem Renaissance. Melichar was active in securing a new location for Hamilton Grange in 2008, and in expanding the Hamilton Heights Historic District to include Sugar Hill in the early 2000s. The Archive Project feels that through our mission of bringing neglected narratives of historic preservation into public view, we can begin to address this underrepresentation. Now is the right time to be collecting these important stories. The New York City Landmarks Preservation Commission has also recognized the underrepresentation of historic outer borough sites and, in recent years, has expanded their focus beyond Manhattan. However, over the years many of those long-standing campaigns have gone unnoticed, or community leaders have been unaware of or unable to access preservation resources, some sites may have fallen into decay, or been swept aside by thoughtless development. In Sandy Ground, on Staten Island, for example, developers moved in quickly beginning back in the ‘70s. “We could see the community was changing,” said Yvonne Taylor. “Apparently the developers had a head start on us… But we thought, well, if we can’t preserve the community physically as it is, we can at least preserve the history. They can’t take that away from us.” Thanks to the efforts of her and others in Sandy Ground, four buildings have been landmarked, and the Sandy Ground Historical Society is actively engaged in outreach and education. Preservationists and organizers, like Yvonne, have changed the landscape in this city by fighting for recognition of the unique history, beauty, and character of their communities. As neighborhoods change and grow, memories of their contributions are in danger of being lost. Through the interviews we have conducted so far, we have already uncovered important gems. We have documented reminiscences of what historic areas of the City once looked like, recognition of the significant work led by some who are no longer with us, and valuable advice for future generations from a few of New York City’s most creative and hardworking preservationists. As Deborah Young said proudly about her neighborhood in Crown Heights, “there is a lot of history here. And history is education, and knowledge, and it’s a resource.” What we have gathered over the course of this oral history project will add to the value of those existing historical resources and build awareness. All of the interviews conducted for the Saving Preservation Stories project have been recorded in high quality audio, and accompanied with photographs. Two of them, so far, have also been documented by a videographer. Once all the interviews are completed they will be available to the public via our website, www.nypap.org. Leading the project is Liz Strong, an experienced oral historian, who has worked for the Columbia Center for Oral History Research, the Washington State Department of Commerce, and others. She also recently completed her MA in Oral History at Columbia University. Assisting on this project as an interviewer, we have also had the pleasure of working with Leyla Vural. Another recent graduate of the Oral History MA program, Leyla has twenty years of experience as a union staffer and consultant, a PhD in Geography from Rutgers, and is passionate about using the tools of oral history for advocacy work. Moving forward, once we have completed our next interview in the Bronx about the Grand Concourse, we will look for ways to grow the project further. If you have thoughts on people we should consider interviewing, or any other valuable input, please contact us.